Skip Lipman, a suburban stay at home dad, embarks on an epic quest to topple a mighty empire in a full-contact Live Action Role Playing Game known as Darkon. 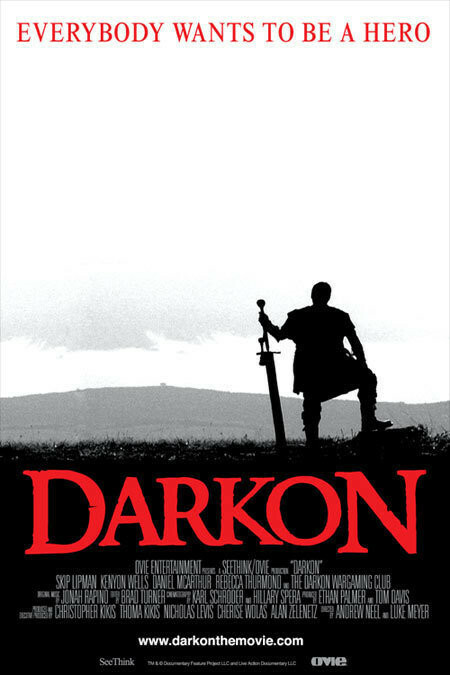 Darkon is an award-winning feature-length documentary film that follows the real-life adventures of the Darkon Wargaming Club in Baltimore, Maryland, a group of fantasy live-action role-playing (LARP) gamers. The film was directed by Andrew Neel and Luke Meyer. Regions are unavailable for this movie. Click the "Watch on Netflix" button to find out if Darkon is playing in your country.